3. 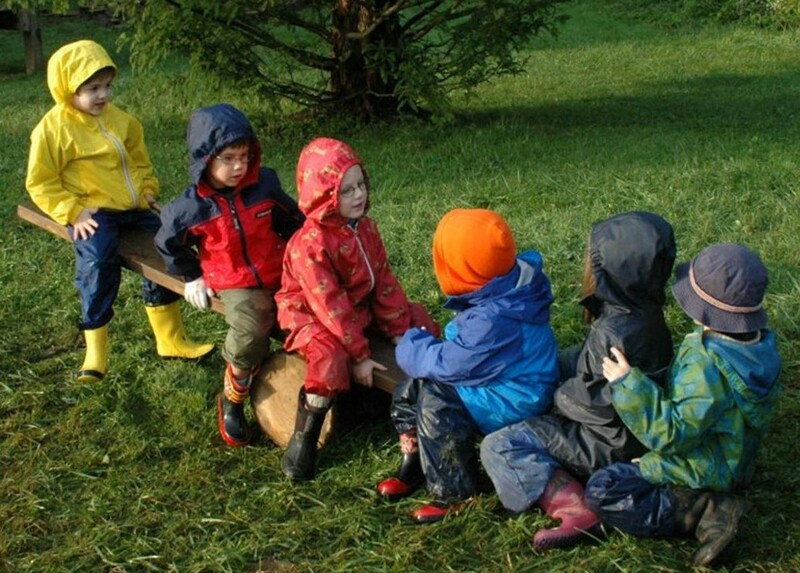 Create and describe ideas for activities and celebrations that include school parents and school community members in the celebration of the festival(s). This article was first published in Das Goetheanum, a weekly periodical edited by Albert Steffen. Presented in two parts, it is from Volume 3, Numbers 8 and 9, 30th September and 7th October, 1923. 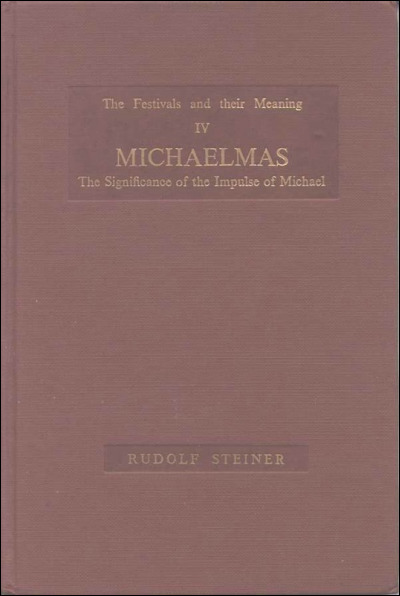 It was first published in English in the quarterly journal, Anthroposophy, Michaelmas 1927, Volume 2, Number 3. WHEN we turn our gaze back into earlier times of human evolution, we are inevitably struck with the change that has come about in the pictures man makes for himself — pictures, on the one hand, of Nature, on the other hand, of Spirit. Nor do we need to go back very far to observe the change. As late as the eighteenth century the forces and substances of Nature were thought of in a much more spiritual manner than they are to-day, while spiritual things were conceived more in pictures taken from Nature. It is only in quite recent times that men's ideas of the Spirit have become so utterly abstract and their ideas of Nature been referred to a spirit-estranged matter that human perception cannot hope to penetrate. For the human understanding of the present-day Nature and Spirit fall apart, and men can find no bridge that shall lead over from one to the other. The consequence is that sublime world-pictures which in past times had great significance for man as he sought to comprehend his place in the Universal Whole have passed completely into the region of things deemed to be no more than airy fancy — mere fancy to which man could only give himself up so long as an exact science was not there to forbid him. Such a cosmic picture is that of Michael fighting with the Dragon. This picture belongs to a time when man traced back his own evolution quite differently from the way that is taught to-day. To-day as we follow the history of man back into primeval times, we look to find beings less and less human, from whom the man of the present day is descended. We pass from more spiritual to less spiritual beings. In earlier times it was different. Then as men traced back the evolution of mankind, it led them to more spiritual conditions of existence than prevail to-day. They looked back to a pre-earthly condition when the present form of man did not as yet exist. They pictured to themselves beings in the existence of that time who lived in a finer substance than that of which man is composed to-day. These beings were ‘more spiritual’ than the men of to-day. Of such a nature was the Dragon-being whom Michael fights. He was destined one day in a later age to assume human form. But he must bide his ‘time.’ The time did not depend on him, but on the decree of Spirit-Beings who stood above him. Until that time it was for him to remain entirely within the will of these higher Spirit-Beings. But now before his hour was come, pride was begotten in him. He wanted to have an “own will” in a time when he should have been still living in the higher Will. Thus did he set himself in opposition to the higher Will. Independence of will was only possible to such beings in a denser matter than then existed. If they persisted in opposition, they must needs change and become different beings. This being found it impossible any longer to live in the same spirituality. His fellow-beings felt his existence in their realm as disturbing, nay even destructive. Michael felt it so. Michael had remained in the Will of the Spirit Beings. He undertook to compel the opposing being to assume the form which was alone possible for an independent will at that stage of the world's development, to assume that is, animal form, the form of the ‘Dragon’, of the ‘Serpent.’ Higher animal forms had not yet made their appearance. This ‘Dragon’ was of course not even then imagined as visible, but as super-sensible. Such was the picture the man of an earlier time had in his mind of the fight of Michael with the Dragon. For him it was a fact that had taken place before ever there was a Nature visible to the human eye, before even man was, in his present form. The world we know has proceeded from out of the world in which this event took place. The kingdom into which the Dragon was driven has become ‘Nature,’ and is now so constituted as to be visible to the senses; it is, as it were, in substance the deposit of the earlier world. The kingdom in which Michael has preserved his spirit-devoted will, has remained ‘above’ — purified, like a liquid from which a substance once contained in solution has been deposited. It is a kingdom that must still continue invisible to the senses. Nature however, considered apart from man, has not succumbed to the Dragon. The power of the Dragon was not strong enough to come to visibility in Nature. It remained in her as invisible Spirit. The Dragon had to sunder his being from Nature. She became a mirror of the higher spirituality from which he had fallen. The Adversary has found his abode in man. Michael has remained true to his nature. When man turns to Michael with that part of his life which has its origin in the higher spirituality, then there arises in the soul of man the inward fight of Michael and the Dragon. As recently as the eighteenth century such a conception was still current. External Nature was still to many men the mirror of a higher spirituality, Nature in man still the seat of the Serpent, which the soul must fight through devotion to the power of Michael. With the beginning of autumn appears the spirit of ‘strength in beauty’ the while Nature hides her beauty, driving the adversary too into concealment. With such thoughts and feelings did men of ancient times keep the Festival of Michael in their hearts. In the picture of the fight of Michael with the Dragon one thing is clearly and strongly present; that is, the consciousness that man himself must give to his inner life of soul the direction and guidance that Nature cannot give. Our present-day thinking is inclined to mistrust such an idea. We are afraid of becoming estranged from Nature. We want to enjoy her in all her beauty, to revel in her abundance of life, and we are loath to let ourselves be robbed of this enjoyment by admitting that Nature has fallen from the Spiritual. In our striving for knowledge moreover we want to let Nature speak. We fear to lose ourselves in all kinds of fantasy, should we allow the Spirit, that transcends the perception of external Nature, to have a voice concerning the reality of things. Goethe had no such fear. He found nowhere in Nature any estrangement from the Spirit. He opened his heart to her beauty, to the inner power and might of all that she revealed. In the life of man he felt the presence of much that was inharmonious, much that grated and jarred, or that gave rise to doubt and confusion. And he felt an inner urge and impulse to live in communion with Nature, where the eternal laws of sequence and compensation prevail. Some of his most beautiful poems have sprung from such a life with Nature. Goethe was however at the same time fully conscious of how the work of man must fulfil and complete the work of Nature. He felt all the beauty of the plants. But he felt too something incomplete in that life which the plant displays before man. In that which weaves and works unseen within the plant, there lay for him far more than manifests itself to the eye within the bounds of visible form. For Goethe, what Nature attains is not the whole. He felt as well what we may call the purposes of Nature. He did not let himself be deterred by the fear of personifying Nature. He knew well that he was not as it were dreaming such purposes into the life of the plant out of any subjective fancy, he beheld them there quite objectively, just as truly as he could behold the colour of the flowers. This is why he was so indignant when Schiller designated as ‘idea’ and not ‘experience’ the picture Goethe had sketched with a few strokes for his poet friend of the inner striving of the plant towards life and growth. Goethe's reply was that if that were an idea, then he could see ideas with his eyes just as well as he could perceive colours and shapes. We may not find in Goethe's works a clear expression in words of this twofold experience with Nature, but we cannot fail to be sensible of it in his whole manner of thought. It is as it were an echo of the experience of Michael's fight with the Dragon. Only, the experience is lifted in Goethe to the consciousness of a later age. The nineteenth century has not given us any further development of thought on these lines. The new perception of the Spirit that is now being attained must set itself to strive after a continuation and development of Goethe's understanding of Nature. Our experience of Nature is incomplete as long as we partake in our inner being with her ascending life alone — seed, shoot, leaf, bud, blossom, and fruit. We need to have a feeling also for the withering and dying away. Nor shall we thereby become estranged from Nature. We have not to shut ourselves up from her Spring and her Summer, we have but to enter as well into her Autumn and her Winter. Spring and Summer require of man that he give himself up to Nature; man lives his way out of himself and into Nature. Autumn and Winter would have man withdraw into his own human domain and set over against the death and decay of Nature the resurrection of the forces of soul and spirit. Spring and Summer are the time of man's Nature-consciousness; Autumn and Winter are the times when he must experience his own human self-consciousness. As Autumn approaches, Nature withdraws her life into the depths of the Earth; she takes away all sprouting and blossoming far from the sight of man. What she leaves to his view bears within it no fulfilment; therein lies hope, hope for a new Spring to come. Nature leaves man alone with himself. Nature has need of death for her life; man can also live this dying through with her. Thereby he enters only more deeply into the inner being of Nature. In his own organism man experiences his breathing process and his blood circulation. They are for him his life. The germinating life of the Spring is in reality as near to man as his own breathing, it entices him out into Nature-consciousness. So too the death and decay of Autumn is in reality no further away from man than his own blood; it steels self-consciousness within him. The Festival of Self-consciousness, bringing man near to his true humanity — wherever the leaves are falling, there it is solemnized, man only needs to become conscious of it. It is the Festival of Michael, the Festival of the Beginning of Autumn. The picture of “Michael Triumphant” can be there; it can live in man. In Summer man is received lovingly into Nature; but if he would not be deprived of the centre and balance of his being, he must not lose himself in her but be able to rise up in Autumn in the strength and might of his own spirit-being. Then will the picture of Michael Triumphant live within him. Note 1: See also The Cycle of the Year as Breathing Process of the Earth, 5 lectures, Anthroposophical Publishing Co. Note 2: No created spirit can penetrate the inner being of Nature: happy is he to whom she shows even the outer shell. Note 3: Nature hath neither shell nor kernel; Nature is all, and all in one. ... In the first period after the great Atlantean catastrophe, the life of man was intimately connected with the spirit; each human being could be told the nature of his Karma, according to the moment of his birth. At that time astrology was not the dilettantism it often is to-day, but signified rather a living participation in the deeds of the stars. And from this living participation, the way in which each human being had to live was revealed to him out of the Mysteries. Astrology had a living significance for the experience of each human life. Then came a time about the sixth, fifth and fourth centuries before Christ, in which men no longer experienced the secrets of the starry heavens, but experienced instead the course of the year. What do I mean by saying that men experienced the “course of the year”? It means that they knew through immediate perception, that the earth is not the coarse lump modern geology sees in it. No plants could grow on the earth, if it were what geology imagines; even less could animals or human beings appear on it — this would be quite impossible; for according to geologists the earth is a mineral, and there can be direct growth out of the mineral only when the whole universe works upon it, when there is a connection with the whole universe. 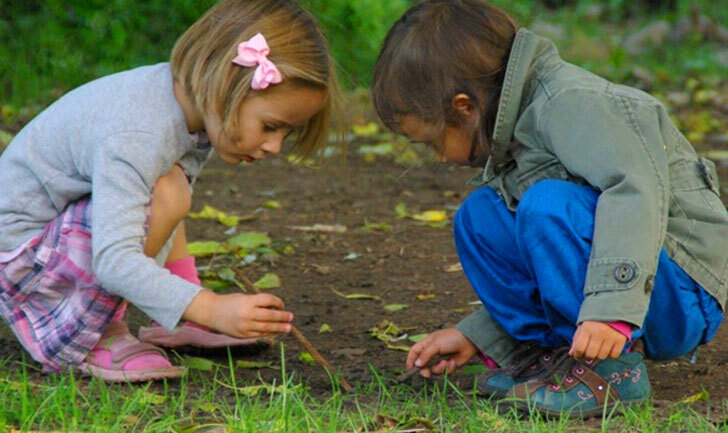 In ancient times men knew what to-day must be learned over again, namely, that the earth is an organism and has a soul. You see, this earth soul too has its particular destiny. Suppose that it is winter where we are, Christmas-time or the time of the winter solstice, — then that is the time in which the soul of the earth is completely united with the earth. For when the earth is decked with snow, when as it were, a frosty cloak envelops the earth, then the earth-soul is united with the earth, rests in the interior of the earth. We find then, that the soul of the earth, resting within the earth, maintains the life of countless elemental spirits. The modern naturalistic conception which thinks that the seeds sown in autumn simply lie there until next spring is quite false, the elemental spirits of the earth must preserve the seeds throughout the winter. This is all connected with the fact that the soul of the earth is united with the body of the earth throughout the time of winter. Let us take the opposite season: midsummer time. Just as man draws in the air and exhales it, so that it is alternately within him and outside him, so does the earth inhale its soul during the winter. And during the time of mid-summer in the height of summer, the soul of the earth has been exhaled entirely; breathed out into the wide spaces of the universe. The body of the earth is then, as it were, “empty” and does not contain the earth-soul; the earth shares with its soul in the events of the cosmos, in the course of the stars, etc. For this reason Winter Mysteries existed in ancient times, in which one experienced the union of the earth-soul with the earth. There were Summer Mysteries too, in which it was possible to perceive the secrets of the universe, when the soul of the initiate followed the soul of the earth out into the cosmic spaces and shared in its experiences with the stars. The old traditional remnants still extant to-day can show that men used to be conscious of such things. Long ago, — it happened to be actually here, in Berlin — I often used to spend some time with an astronomer who was very well known, and who agitated violently against the very disturbing idea that the Easter Festival should fall on the Sunday immediately after the first full moon of spring; he thought it terrible that it did not fall each year, let us say on the first Sunday of April. It was of course useless to bring forward reasons against this idea; for what underlay it was this: If Easter falls each year on a different date, a frightful confusion comes about in the debit and credit of account books! This movement had even assumed quite large proportions. I have mentioned here before that on the first page of account books one generally finds the words “With God”, whereas as a rule, the things contained in such books are not exactly “with God”. In the times in which the Easter Festival was fixed according to the course of the stars, — the first Sunday after the spring full moon was dedicated to the Sun — there was still the consciousness that the soul of the earth is within the earth during the winter, and outside in the cosmic spaces during midsummer time, while in spring it is on its way out towards cosmic space. The Spring Festival, the Easter Festival, cannot therefore be fixed on a particular day, in accordance with earthly things alone, but must take into account the constellations of the stars. A deep wisdom lies in this, coming out of an age in which men were still able to perceive the spiritual nature of the year's course through an ancient instinctive clairvoyance. We must again come to this. And we can come to it again, in a certain sense, if we grasp the tasks of the present time by connecting them with what we have discussed and studied together here. On several occasions I have stated here that amongst the spiritual Beings with whom man is united every night in the way I have described — for instance, with the Archangels through speech — there are some Beings who are the ruling spiritual powers for a particular period of time. During the last third of the nineteenth century, the Michael period began, that period in which the spirit otherwise designated in writings as Michael, has become the most important one for the concerns of human civilisation. Such things repeat themselves periodically. In ancient times, something was known about all these spiritual processes. The old Hebrew period spoke of Jahve. But it always spoke of the “countenance of Jahve or Jehovah” and by “countenance” it meant the Archangels, who were actually the mediators between Jahve and the earth. And when the Jews were awaiting the Messiah on earth, they knew: the Michael period, in which Michael is the mediator for Christ's activity on earth, is here; only the Jews misunderstood this in its deeper connection. Since the seventies of the nineteenth century the time has once more come on earth in which the Michael force is the ruling spiritual power in the world, and in which we must understand how to introduce the spiritual element into our actions, and how to arrange our life out of the spirit. “Serving Michael” means that we should not organise our life merely out of the material, but that we should be conscious that Michael, whose mission it is to overcome the base Ahrimanic forces, must, as it were, be our genius in the development of our civilisation. Now he can achieve this if we remember how we can link again in a spiritual sense to the course of the seasons. There is really a deep wisdom in the whole world process, manifested in our being able to unite the Festival of the Resurrection of Christ Jesus with the Spring Festival. The historical connection (I have often stated this) is absolutely correct: the Spring Festival, i.e. 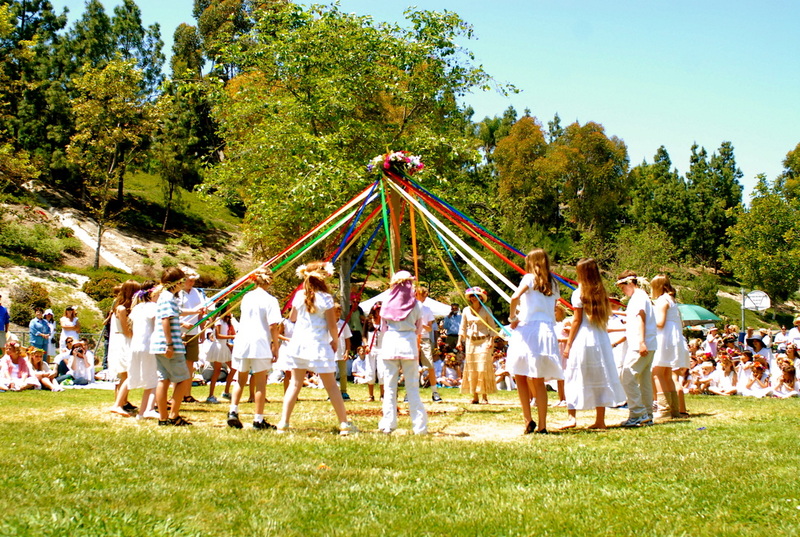 the Easter Festival, can only fall on a different day each year, because it is something that is seen from the other world. It is only we on earth who have the narrow-minded conception that “time” is continuous, that every hour is just as long as another. We determine time mathematically, by our earthly means alone, whereas for the real spiritual world, the cosmic hour is endowed with life. One cosmic hour is not like another, but shorter or longer than another. Hence we are always likely to err when we try to determine from the earth what should be determined from a heavenly standpoint. The Easter Festival is rightfully determined in accordance with the heavens. What is the nature of this festival? It is the festival that should remind us, and once did remind people in the most living manner, that a Divine Being descended to the earth, took His dwelling in the human being, Jesus of Nazareth, in order that during the time in which mankind was approaching the Ego evolution, human beings might find their way back, in the right way, through death into spiritual life. This I have often described. Thus, the Easter Festival is the festival in which man contemplates death and the immortality which follows it, through the Mystery of Golgotha. We look at this springtime festival aright when we say: The Christ has strengthened man's immortality through His own victory over death; but we human beings understand the immortality of Christ Jesus in the right way only when we acquire this understanding during our life on earth, i.e. if we awaken to life within our souls our connection with the Mystery of Golgotha, and are able to free ourselves from the materialistic conception which takes away from the Mystery of Golgotha all its spiritual nature. To-day the “Christ” is hardly taken into consideration, but only “Jesus”, “the simple man of Nazareth.” One would almost blush before one's own scientific knowledge if one were to admit that the Mystery of Golgotha contains a spiritual mystery in the midst of earth-existence, namely, the Death and Resurrection of the God. But when we experience this in a spiritual manner, we prepare ourselves to experience other things also in a spiritual manner. It is for this reason so important for modern man to gain the possibility of experiencing the Mystery of Golgotha above all as something entirely spiritual. He will then be able to experience other spiritual things, and will find through the Mystery of Golgotha the paths leading into the spiritual worlds. At the same time, man must understand the Resurrection in connection with the Mystery of Golgotha, while he is still alive; and if he is able to understand the Resurrection in his feelings while he is alive, this will also enable him to pass through death in the right way. This means that death and resurrection, contained in the Mystery of Golgotha, should teach man to invert the relationship: to experience resurrection inwardly, within the soul, during life, so that after having experienced this inner resurrection in his soul, he may go through death in the right way. This experience is the exact opposite of the Easter experience. At Easter we should submerge ourselves in Christ's Death and Resurrection. But as human beings we must be able to submerge in what is given to us as the resurrection of the soul, in order that the risen human soul may go through death in the right way. Just as in the spring we acquire the real Easter feeling in seeing how the plants spring up and bud, how Nature reawakens to life and overcomes winter's death, so we are able to acquire another feeling when we have lived through the summer in the right spirit and know that the soul has ascended into cosmic spaces; that we are approaching autumn, that September and the Autumn Equinox are drawing near; that the leaves which were shooting so green and fresh in the spring, are now turning yellow and brown, are withering away; that the trees stand there almost bare of their leaves; Nature is dying. Yet we understand this dying Nature when we look into the fading process, when the snow begins to cover the earth: and say: the soul of the earth is withdrawing again into the earth and will be fully within the earth when the winter solstice has come. It is possible to experience this autumn season just as intensely as we experience springtide. Just as we can experience the Death and Resurrection of the God in the Easter season in spring, so can we experience in the autumn the death and resurrection of the human soul, i.e. we experience resurrection during our life on earth in order to go through death in the right way. Moreover, we must understand what it means for us and for our age that the soul of the earth is exhaled at midsummer into the world's far spaces, is there united with the stars and then returns. He who fathoms the secrets of the earth's circuit during the course of the year will know that the Michael force is now descending again through the Nature-forces — the Michael force which did not descend in former centuries. Thus we can face the leafless autumn, inasmuch as we look towards the approach of the Michael force out of the clouds. The calendars show on this day the name of “Michael”, and Michaelmas is a country festival: yet we shall not experience the present spiritually, linking human events on earth with Nature's events, until we understand again the year's course and establish festivals of the year as they were established in the past by the ancients, who were still endowed with their dreamy clairvoyance. Men of old understood the year, and out of such mysteries, which I could to-day outline only briefly, they founded the Christmas, Easter and Midsummer (St. John) festivals. At Christmas time we give each other presents and do certain other things as well; but I have often explained in the Christmas and Easter lectures I have given here, how very little people still receive to-day from these festivals, how everything has taken on a traditional, external form. When, however, the festivals which we celebrate without understanding them, will again be understood, then we shall have the strength to establish out of a spiritual understanding of the year's course, a festival which only now for present-day humanity, has real significance: this will be the Michael Festival. It will be a festival in the last days of September, when autumn approaches, the leaves wither, the trees grow bare and Nature faces death, — just as it faces a new budding life at Easter time, — and when we experience in Nature's fading life, how the soul of the earth is then united with the earth and brings with it Michael out of the clouds. When we acquire the strength to establish such a festival out of the spirit, — a festival that brings with it once more a feeling of fellowship into our social life, — then we shall have established it spiritually: for we shall then have founded something in our midst which has the spirit at its source. Far more important than other reflections on social conditions — which can lead to no results in our present chaotic conditions, unless they contain the spirit — would be this: that a number of open-minded people should come together for the purpose of instituting again on earth something proceeding out of the universe, as, for instance, a Michael Festival. This would be the worthy counterpart of the Easter Festival, but a festival taking place in autumn, an Autumn Festival. If people could determine upon something, the motive to which can be found only in the spiritual world, something which can kindle feelings of fellowship amongst those who assemble at such a festival — arising out of the fullness and freshness of the human heart through immediate contact — then something would exist which could bind men together again socially. For in the past, festivals used to bind human beings strongly together. Just think, for instance, of all that has been done and said and thought in connection with festivals for the whole of civilisation. This is what entered physical life through the establishment of festivals directly out of the spirit. If men could determine in a dignified worthy way to establish a Michael Festival during the last days of September, this would be a most significant deed. But the courage would have to be found amongst them not merely to discuss external social reforms, etc., but to do something that connects the earth with the heavens, that reconnects physical with spiritual conditions. Thus something would again take place amongst men, constituting a mighty impulse for the continuation of our civilisation and our whole human life; because the Spirit would once more be introduced into earthly conditions. There is naturally no time to describe to you the scientific, religious and artistic experiences which could arise, just as in the ancient festivals — through such a new festival, established in a great and worthy way out of the spirit. How much more important than all that is going on to-day in the shape of social tirades would be such a creating out of the spiritual world. For what would that imply? It implies a great deal for an insight into man's inner nature if I can fathom his way of thinking, if I can really understand his words aright. If to-day one could see the working of the whole universe when autumn approaches, if one could decipher the whole face of the universe, and acquire creative force out of it, then the establishment of such a festival would reveal, not only the will of human beings, but also the will of Gods and Spirits. Then the Spirit would again be among mankind! ... I HAVE frequently spoken to you here of that important event which came to pass in the last third of the nineteenth century, the event through which a special relationship was established between the Archangelic Power, that Being whom we call the Archangel Michael, and the destiny of mankind. I have reminded you that since November, 1879, Michael is to be the Regent, as it were, for all those who seek to bring to humanity the right forces necessary to their healthy progress. My dear friends, in our day we know that when such a matter is indicated, the indication refers to two different things: — first, to the objective fact, and second, to the way this objective fact is connected with what men are willing to receive into their consciousness, into their will. The objective fact is simply this, that in November, 1879, beyond the sphere of the sense world, in the super-sensible world, that event took place which may be described as follows: — Michael has gained for himself the power — when men come to meet him with all the living content of their souls — so to permeate them with his power, that they are able to transform their old materialistic intellectual power — which by that time had become strong in humanity — into spiritual intellectual power, into spiritual power of understanding. That is the objective fact; it has taken place. We may say concerning it that since November, 1879, Michael has entered into another relationship with man than that in which he formerly stood. But it is required of men that they shall become the servants of Michael. What I mean by this will become quite clear to you through the following explanation. You are aware that before the Mystery of Golgotha was accomplished upon earth, the Jews of the Old Testament looked up to their Jahve, or Jehovah. Those who, among the Jewish priests, looked up in full consciousness to Jahve, were well aware that they could not reach him directly with human perception. The very name, Jahve, was held to be unutterable, and if it had to be uttered, a sign only was made, a sign which resembles certain combinations of signs which we attempt in the art of Eurhythmy. The Jewish priesthood, however, was well aware that men could approach Jahve through Michael. They called Michael the countenance of Jahve. Just as we learn to know a man when we look into his face, just as we draw conclusions about the gentleness of his soul from the gentleness of his countenance, and about his character from the way he looks at us, so the priesthood of the Old Testament, through the atavistic clairvoyance which flowed into their souls in dreams, desired to gain from the countenance of Jahve, from Michael, a knowledge of Jahve, whom it was not yet possible for mankind to reach. The position of this priesthood towards Michael and Jahve was the right one. Their position towards Michael was right because they knew that if a man of that time turned to Michael, he could find through Michael the Jahve-power, which it was proper for the humanity of that time to seek. Other Soul-Regents of humanity have appeared since then in the place of Michael; but since November, 1879, Michael is present again and can become active in the soul-life of those who seek the paths to him. These paths to-day are the paths of spiritual scientific knowledge. We may speak of “the paths of Michael”, just as well as of the “paths of spiritual scientific knowledge”. But just at the time when Michael entered in this way into relationship with the souls of men, in order again to become their inspirer for three centuries, at this very time the demonic opposing force, having previously prepared itself, set up the very strongest opposition to him, so that a cry went through the world during our so-called war-years, in reality years of terror, a cry which has become the great world-misunderstanding which now fills the hearts and souls of men. Let us consider what would have become of the Jewish people of the Old Testament, if instead of approaching Jahve through Michael they had sought to approach him directly. They would have become an intolerant people, a national self-seeking people concerned with the aggrandizement of their own nation, a nation thinking only of itself. For Jahve is the God who is connected with all natural things, and in the external historical development of mankind, he manifests his Being through the connection of generations, as it expresses itself in the essential qualities of the people. It was only because the ancient Jewish people desired at that time to approach Jahve through Michael, that they saved themselves from becoming nationally so egoistic that Christ Jesus would not have been able to come forth from among them. Because they had permeated themselves with the Michael power, as this power was in their time, the Jewish people were not so strongly impregnated with forces given over to national egoism, as would have been the case had they turned directly to Jahve or Jehovah. To-day Michael is again the Regent of the World, but it is in a new way that mankind must become related to him. For now Michael is not the countenance of Jahve, but the countenance of Christ Jesus. To-day we must approach the Christ-impulse through Michael. In many respects humanity has not yet struggled through to this. Humanity has retained atavistically the old qualities of perception by which Michael could be approached when he was still the intermediary to Jahve; and so to-day humanity has a false relationship to Michael. This false relationship to Michael is apparent in a very characteristic phenomenon. During the years of the war we heard continually the universal lie: “Freedom for individual nations, even for the smallest nations.” This is an essentially false idea, because to-day, in the Michael period, the all-important matter is not groups of men, but human individuals, separate men. This lie is nothing else than the endeavour to permeate each individual nation not with the new force of Michael, but with the force of the old, the pre-Christian time, with the Michael-force of the Old Testament. However paradoxical it may sound, there is a tendency among so-called civilized nations at the present day to transform what was justifiable among the Jewish people of the Old Testament, into something Luciferic, and to make of this the most powerful impulse in every nation.